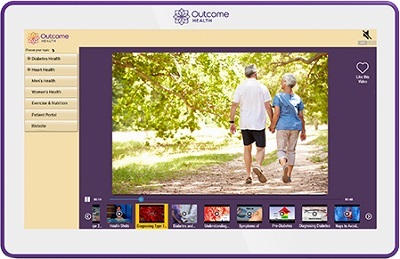 DINET is excited to announce partnerships with three companies - Banana Bag Solutions, The Mighty and Outcome Health. 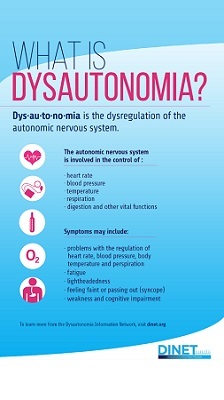 All three companies are dedicated to education and patient support for people living with dysautonomia and chronic illness. The Mighty is an online community for people living with chronic illness. But rather than focus on the medical aspects of disability and illness, The Mighty strives to fend off the isolation that comes with illness by forming a safe community for people to share their stories. From their site: “real stories by real people facing real challenges” The Mighty has created a safe platform for people living with chronic illness and disability to connect, share their stories and to raise support for the causes they believe in. 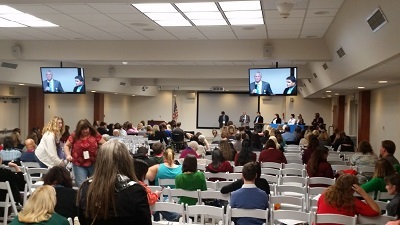 In the coming months, DINET will be working hand in hand with all of their sponsors to extend awareness and education throughout the medical community and to help bring POTS & dysautonomia patients the resources & support needed to live life with chronic illness. Banana Bag Oral Solutions - Exclusive coupon for DINET members - save on an electrolyte mix. Go to www.bananabagdrink.com and enter the Promo Code DINET25 for a special savings of 25% off. Throughout October, BananaBag will donate all profits from sales using this code to DINET in honor of Dysautonomia Awareness and DINET's work. 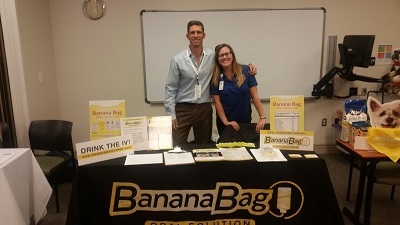 Banana Bag Oral Solutions photos from the Choc Hospital, CA "Connecting the dots between: EDS, POTS, Chronic Pain and Mast Cell Activation Disorder"